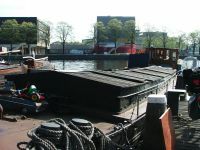 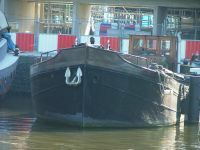 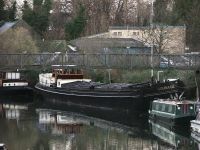 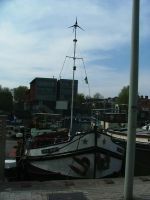 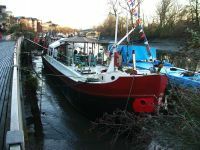 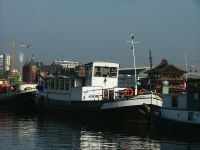 The Alvracht 3 is moored in Brentford, London. 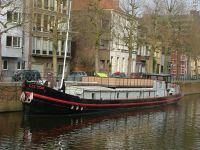 Dimensions: 38.65m x 4.98m x 1.85m, 202 ton. 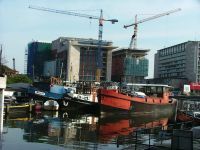 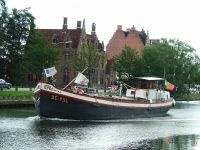 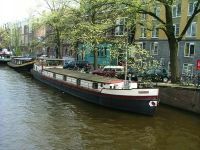 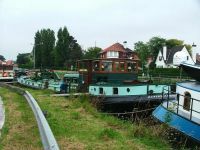 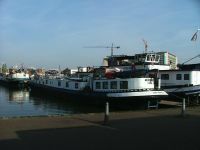 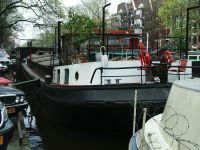 The Anna Maria V is used as a charter ship in and around Amsterdam.